Soldsie - Sell your products through Facebook comments! 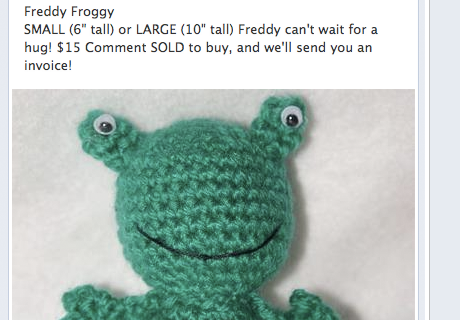 Did you know you can sell your products using only the Facebook comments? When I first read about this I thought it was a joke. You know, like "look how social medias are taking over the world" joke. But than I saw the website, it was real. And really cool. If you have a Facebook Business page you can use Soldsie. Soldsie is an application that lets you transforme your timeline in your store, publishing products and allowing your fans to buy only with a comment. 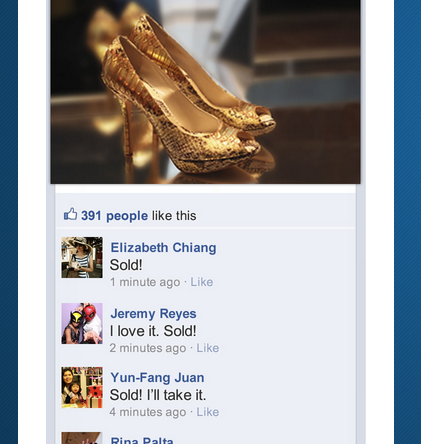 It works like this: you insert photos and information about your product for sale in the app Soldsie, which publishes the ad on your wall as a post. Whoever wants to buy just need to write the word "Sold!" in the comments. 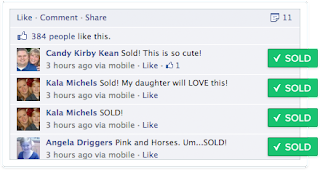 Automatically, you receive a notification and send confirmation of the sale to the buyer. After that, the person receives a message with a link to complete the payment via Paypal. All very quick and simple. The service is free for the first $700. After that, you pay a 3% of each sale, that includes Paypal and credit card fee, automatic invoice and inventory track. I haven't tested yet but I must confess I felt compelled to sell my clothes in Facebook just to see how it works. Just kidding, by boyfriend's clothes. Article originally posted on my marketing blog. What is Converged Media ? Charlene Li, founder of Altimeter Group, explained converged media as the result of Content Marketing + Native Advertising + Real Time Marketing. These 3 touch points are therefore the basis of a Paid, Earned and Owned Media Strategy ... a strategy that is perfectly adapted to the dynamic customers of today, and that will make your business social and successful. Watch the presentation, learn and succeed ! After Bubbleology, let's remain into bubbles with Coca-Cola. but do you exactly know what it consists of ? Article originally posted on my blog. What's behind "Bubbleology" ? we would think about bubbles, biology but certainly not TEA ! What brought Bubbleology on my blog tonight is not the concept in and of itself, it is especially the highly optimized web experience they provide. Their website is both interactive and inspirational, which truly adds value to their product. I don't especially like bubbles, even less biology but the website captured my attention - during far more than 1,30 min (which is the average time web users spend on trite websites) - until I discovered that the base of their product was tea… I'm a huge tea drinker, and would love to try their product. @Bubbleology, San Francisco and Paris are waiting for you !! Will you be coming soon? Ok, it's time for you to be wowed by their website ! Enjoy !! I'm sure you will become a Facebook Fan soon. As Beyonce would say: Who run the world? Girls. Ok, terrible jokes aside, the women are in fact the news focus of many companies. Every year more and more women have jobs that were for men only not a long time ago. With better jobs comes more travels, either for leisure or business. For this reason, hotels should pay more attention to the female share of their clients. 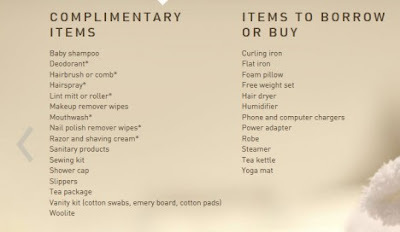 After asking female globetrotters how hotels can anticipate their needs in research carried out over 18 months, Hyatt introduced a new service they call “Hyatt Has It”. The new Hyatt Has It service will offer phone charger, hair curlers and steamers, yoga mats, make-up remover wipes and razors to female guests. The amenities that existed already, like shampoos and moisturizers, now have better quality, to meet the client's standarts, with skincare products from companies such as Le Labo, June Jacobs and Aromapothecary. In response to their female respondents’ desire to eat healthily while traveling, the hotel chain has also launched a new balanced menu, with items that include fresh juices, smoothies, more balanced portions, and customizable meal options. On their service website, there is also a tab "blog", where they give tips and news about the services.